Bessingham Manor01263 715779work01603 870304fax Self-cateringSize: Sleeps up to 17, 7 bedrooms. Luxuries: Flat screen TV's, Sky HD, DVD players, CD player, Ipod dock, Wii, Games, Table Tennis table. Rooms: Drawing Room, study, kitchen, side kitchen, breakfast room. Two cloakrooms. Seven bedrooms. Two En-Suite bathrooms. One en-suite shower room, En-suite wet room, Family Bathroom. Beds: 2 four poster superkings, 2 superkings, 2 double, 3 singles, sofa bed and bunk beds. Other: Books & games. WiFi. Linen and towels. Welcome Hamper. Books and games. Highchair, Cot, travel cot & Stairgate. Housekeeping deposit of £400 payable to the owner two weeks before the start date of your holiday. 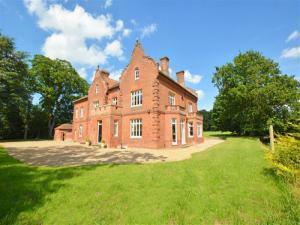 Outdoors: 4.5 acres with lawn and mature trees, woodland area, courtyard, patio, garden furniture and charcoal barbecue. The land is partly enclosed by the old estate wall but is mostly surrounded by hedges, beyond which there is open parkland on 3 sides. Access: Driveway parking for several cars. Size: Sleeps up to 17, 7 bedrooms.